I know it might sound a bit childish but I’m looking forward to Christmas. It’s not about the presents… it’s about the atmosphere. Uncountable songs trying to express the feelings and emotions around Christmas. It really it the time where love isn’t just a word and isn’t just about this wonderful feeling between two people who spent their life together (or want to spend their life together). It’s about the spirit which unfortunately seems to disappear during the year and very often just comes up before Christmas. But at least: once a year!!! We've been nominated by the readers of the Devon Life Magazin for the Best Bakery of the year award. We've been shortlisted as one of three finalists in the category. We haven't won the award but are so pleased we've been considered and you've voted for us! Oliver and myself dressed up two weeks ago and enjoyed a nice night out with all the treats "winners" deserve! It’s November the 16th… a Wednesday morning which started with emotional ups and downs. And although I’ve planned to sort out some office work I followed my "instinct” to escape for a few hours. My car decided to drive to Dartmouth. 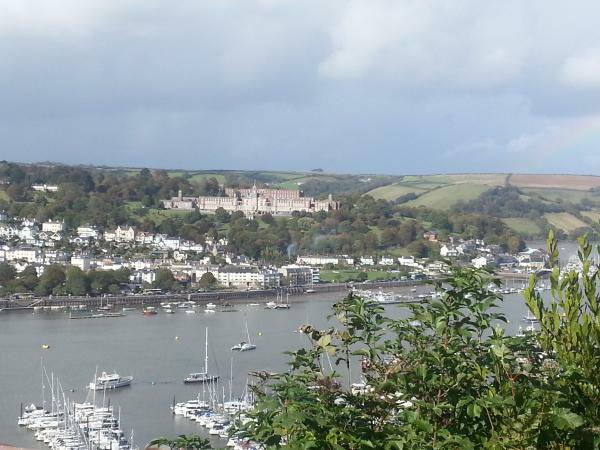 I like Dartmouth as it’s a small town with nice unique shops and a wonderful atmosphere due to the location: First there is the river Dart which is providing a Mediterranean background. 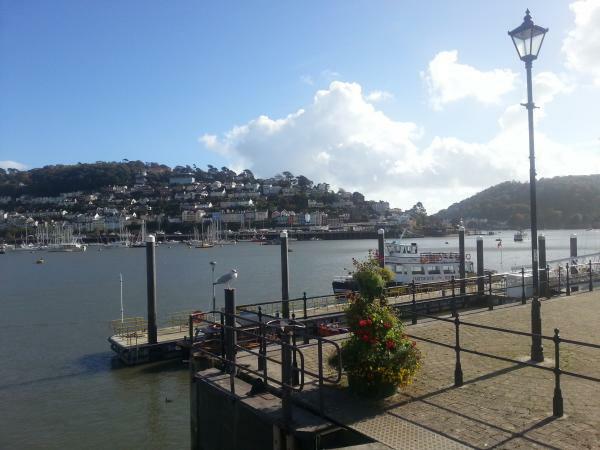 Walking along the quay you’ve got the beautiful view across the river to Kingswear. On the other side the town with it’s wonderful old and unique buildings is inviting for a stroll to discover some magical places. And as I mentioned: "I'm so sorry it's been quiet for a while" but I've been hibernating. And don’t worry it’s not because anything happened – I just need a bit more time to recover. Maybe, because the chemo has "lowered” my energy level? Maybe, because the operation itself has been pulling out the plug and all remaining energy got lost? Who knows? I personally think: both my body and soul needed and still need a rest. Some side effects from the chemo are still "around” and make me feel much older than I am. At least I know how it’ll feel when I’m 94 years old.